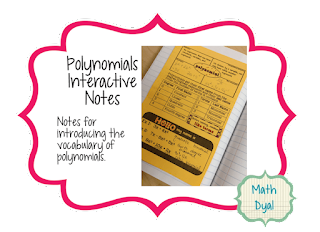 My friend from Math Dyal has been so inspired by brain research that she's changed the way her students use their interactive notebooks. Today, she's writing to share tips from her classroom. 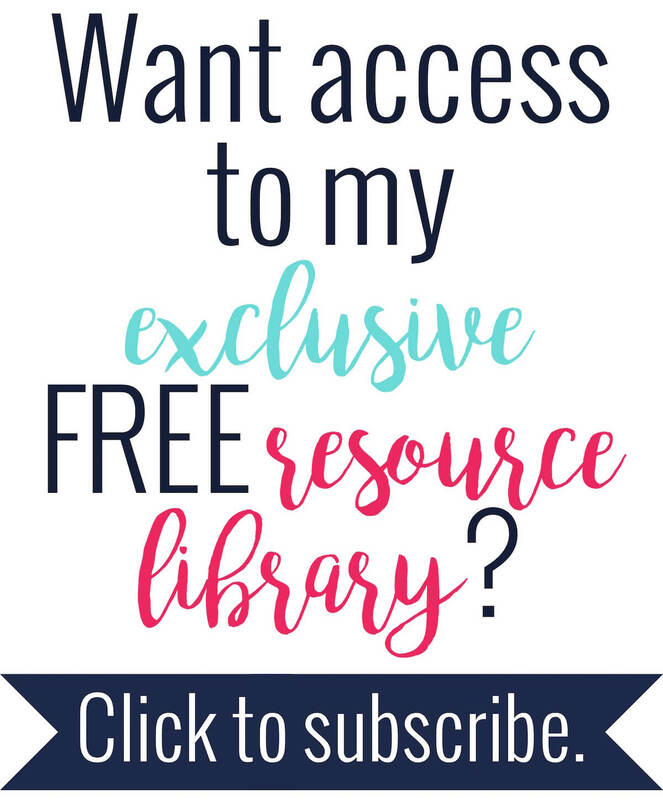 You can find her at her blog, Math Dyal, and her TpT store under the same name. Last week a district administrator and assistant principal randomly showed up in my classroom as we were working on a lesson on graphing lines. I am so used to observers popping in, I barely even noticed and went about my way. They stopped to talk to a group of students about what they were learning, and one of the girls in the group asked the administrator, "Do you want to see my notebook?" and proudly showed off everything we have been working in recently in her interactive notebook. I LOVE having a tool like this that students actually use, refer to, and want to show off! I've been totally inspired by Math Giraffe's brain research to allow plenty of opportunities for doodling and coloring with purpose in my notes. I love using an outline font for the title - my students always seemed to forget to write the title, so now they fill in the bubble letters instead. When we took these notes for domain and range, I had them pick two different colors and use on to underline domain everywhere they saw it on the page and the other for range. Then when we found each, we used the corresponding color. I love adding little pieces of clip art next to word problems; the students will color them in while they read through the problem. Plus it's easy to tell them where to go back to their notes, "We have an example of a problem like this on p. 24 - the cupcake problem." Doodle borders and doodle underlines are my other favorites. They are so easy to pop on the page, and so many students love coloring them in - giving their right brain a chance to engage with the math. I keep a few markers and highlighters in the supply boxes in the center of each table, but several students like to bring in special gel pens, those fun clear highlighters, or sets of colored pencils. In the end, the kids are engaged in taking notes about math and they are using their notes to refer back to when they need help with classwork, homework, or to study for a test. I consider anything that gets kids excited about math to be a win in my book! Want to check out some of my doodle notes for your class? I have these awesome Literal Equations Notes to download on my blog. 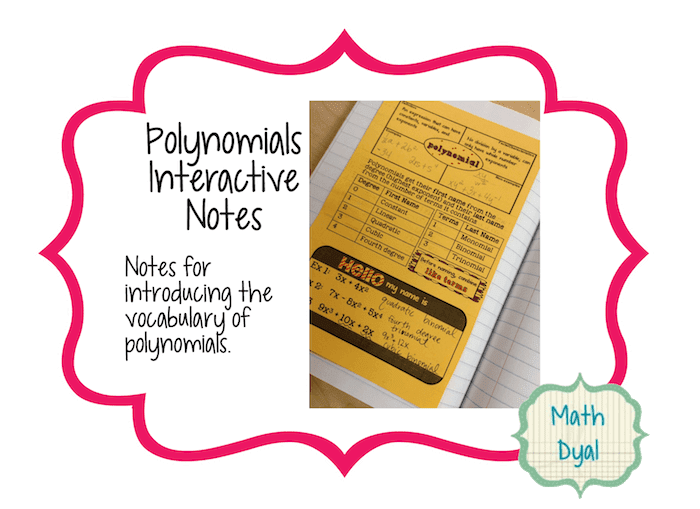 And these fun Polynomials Notes as a freebie in my TPT store! Happy doodling! Do you have a blank worksheet for the domain and range notebook activity?